Menswear tailoring, softened with beautiful feminine touches. Crisp suit separates in pinstriped polyester/rayon/acrylic twill, with spandex for stretch comfort. Fitted three-button blazer with gorgeous floral embroidery. Back vent; fully lined. Hip-length. Dry clean. Imported. Classic-fitting blazer in lightweight linen. 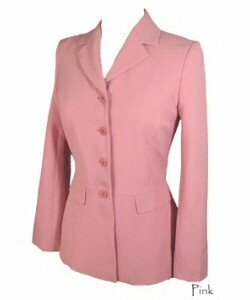 Three-button silhouette with notched collar. Front flap pockets, front chest pocket. Fully lined. 26½" (25½" petite, 28" woman) from center back. Stylish slim jacket in our rose-hued cotton, treated for a vintage effect. Front flap patch pockets, chest welt and top-stitch detailing. Turn-back cuffs with button detailing and back hem vents. 19" from center back. Cotton. Machine washable. Imported. 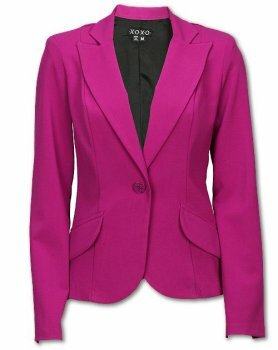 Flattering single button silhouette with open point lapel and shaping seams at front and sides. Mother of pearl buttons, front welt pockets. Fully lined with a seamed back waist. Silk/Linen. Lining: Acetate. Dry clean. Imported. 100% linen. Approximately 23" from back of collar to hem. Notch collar. One left chest pocket. Two button front closure. Long sleeves are approximately 19" with one button cuffs. Princess seams. Two front pockets.